Lineal heavyweight champion Tyson Fury 27-0 (19) has launched a stinging attack on rival Anthony Joshua 22-0 (21) in the aftermath of the unified heavyweight champion’s win over Alexander Povetkin 34-2 (24) at Wembley Stadium on Saturday night. The 30-year-old self-styled ‘Gypsy King’ slammed Joshua’s performance and reasserted his belief that a fight against the London Olympics super heavyweight gold medallist would be easy work. “I think it’s safe to say now that not Team Joshua or Matchroom Boxing will ever fight the Gypsy King. Never,” said Fury in a social media post. “They mentioned if it’s not Wilder it’ll be Whyte, no mention of Tyson Fury the lineal heavyweight champion of the world. The IBF, WBA and WBO champion knocked out 39-year-old perennial contender Povetkin in seven rounds in front of 80,000 parochial fans. 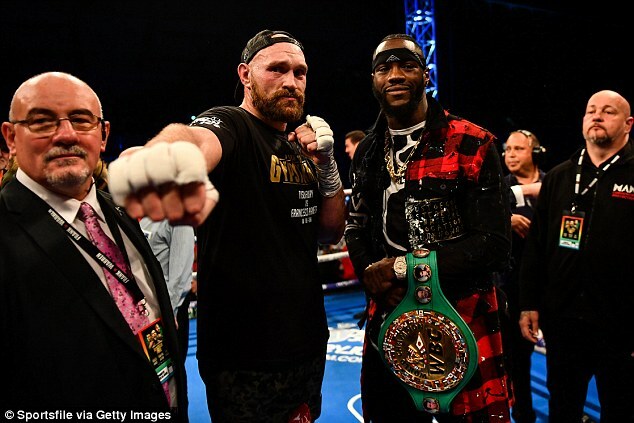 Fury and WBC champion Wilder announced on Friday that they would be fighting in the United States on December 1 at a venue to be determined, believed to be in either Los Angeles or Las Vegas. “Tonight is pure evidence that I’m fighting the best heavyweight out there in Deontay Wilder. Joshua is not even close,” continued Fury. “He is slow, methodical, and ponderous at times. Powerful yes, but they are all. It is obvious to see.